We are excited to announce the launch of a brand-new app for Facebook users: My Memorials™. You can view – all in one place – the obituaries and Guest Books you care about and access them with one click. 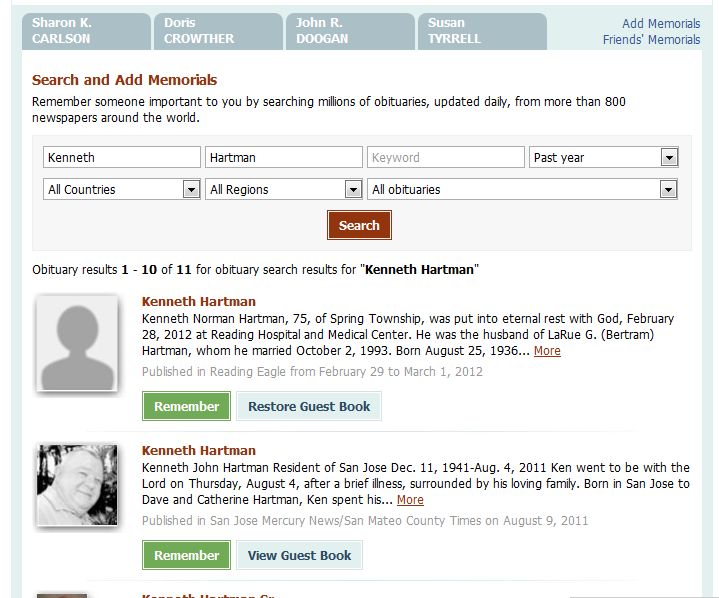 You can even search for obituaries right from My Memorials™. Millions of obituaries from the U.S. and around the world – from our more than 800 newspaper affiliates – are available for you to search. 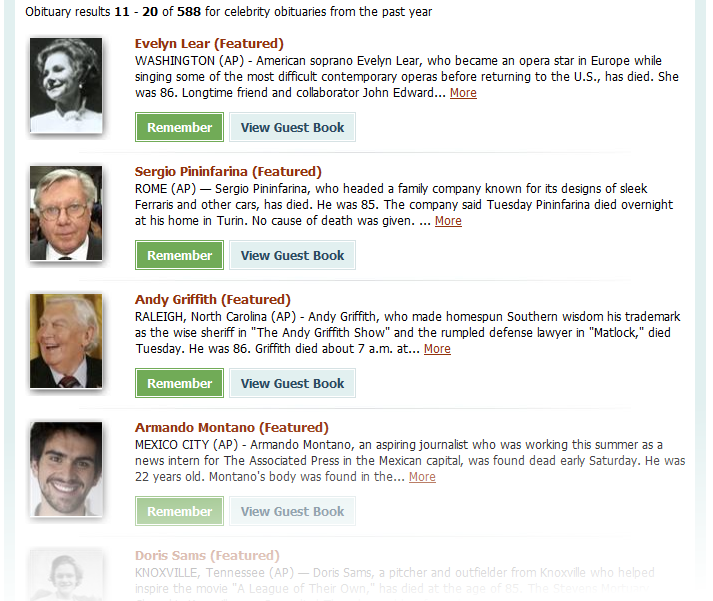 You can follow obituaries for your favorite celebrities as well as for loved ones. When you choose “browse celebrity obituaries,” you can see all the celebrity obituaries we’ve featured in the past year – for beloved actors, musicians, political figures, athletes and more. 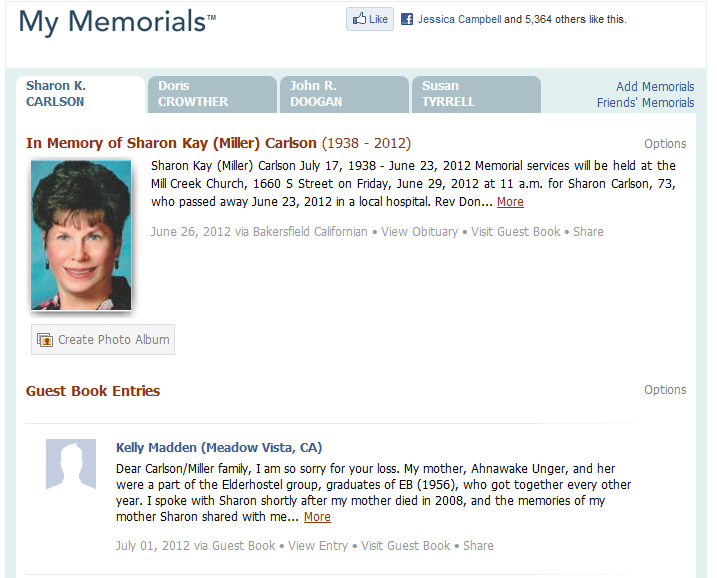 My Memorials™ makes it easy to share the obituaries you follow. 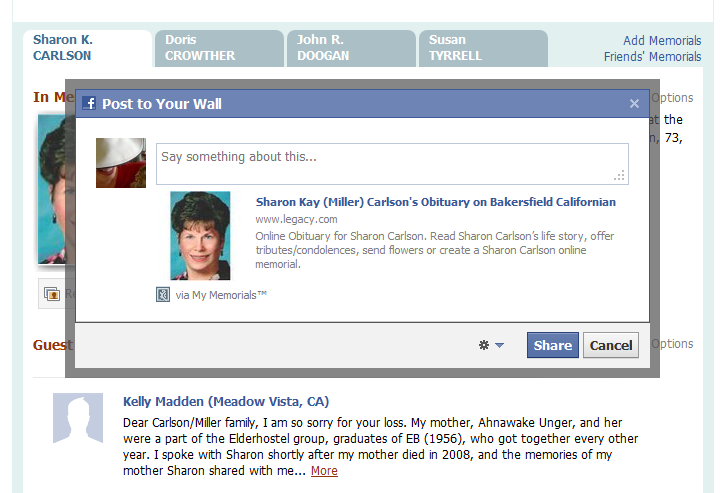 Click “Share Obituary” and you’ll receive the standard Facebook popup screen where you can write a message and post a link to the obituary on your wall and in your friends’ news feeds. You can create a photo album too, sharing your cherished memories with friends and family. It’s easy to get started using My Memorials™. To add the app, start here and click “Go to App.” Or visit any obituary hosted by Legacy.com and click “Remember With My Memorials” in the toolbar that appears at the bottom of the page. 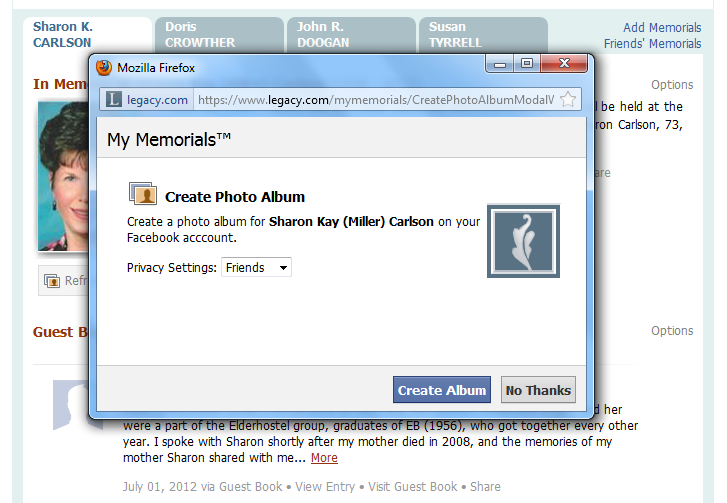 The app is quick and easy to set up, and then you’ll have instant access to your personal My Memorials™ wall. So many of our users keep track of several Guest Books for loved ones who have passed, in addition to watching for the deaths of beloved celebrities. My Memorials™ makes it easier to access, follow and share all the Guest Books and Memorial Sites that interest you, from the convenience of your Facebook page. We hope you’ll give it a try today. 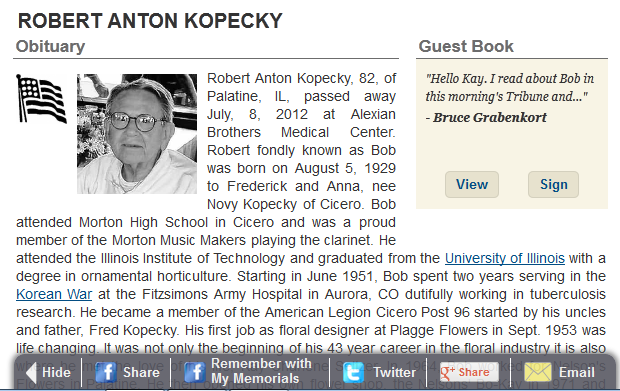 This entry was posted in New from Legacy.com and tagged Life at Legacy.com, Obituaries. Bookmark the permalink.